It’s the most wonderful time of the year. The time when we gather ‘round the fire, exchange gifts and stories and remember the most important things: love, happiness and the pursuit of the perfect present. With the rise of Amazon and e-commerce, we’ve lost touch with real-life retail experience. 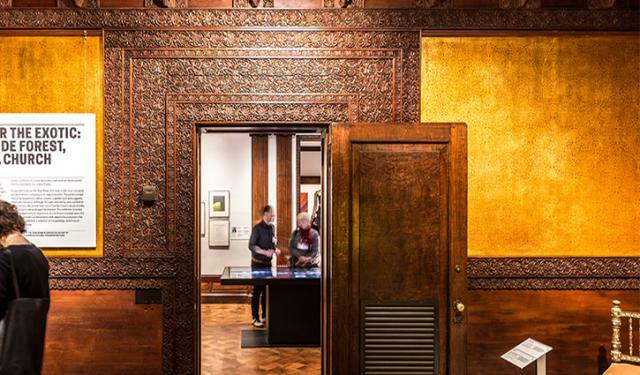 It’s time to switch things up, return to pre-internet age and find the perfect gift for the hardest-to-please on your list in these historic buildings around NYC! For the girlfriend with refined taste: Hob-knob with lower Manhattan’s most luxurious at the Tiffany & Co. at 37 Wall. 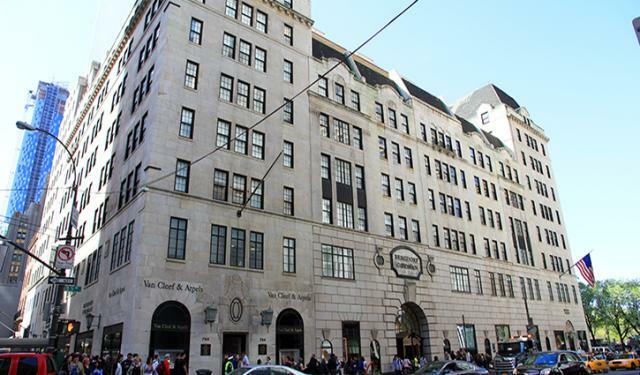 Originally designed by architect Francis Kimball in 1906 for the Trust Company of America, the 7,700-sf store is now home to the high end retailer of all things shiny. 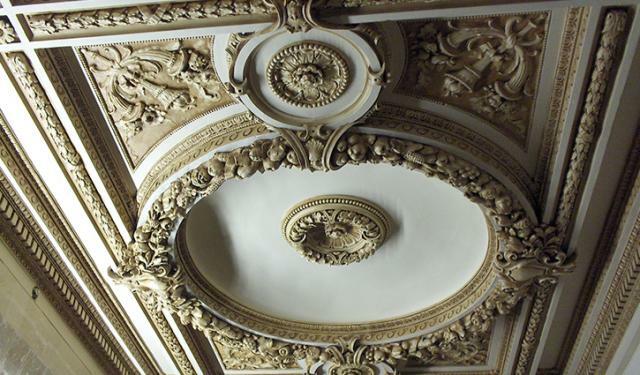 Browse diamonds and opulent gems beneath the original coffered ceiling, intricately detailed moldings and classically-styled capitals. 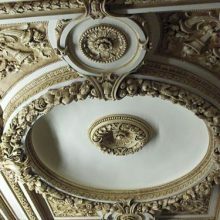 Crystal droplet light fixtures suspended from the ceiling illuminate the Beaux Arts plaster ornament, carefully restored by EverGreene craftsmen. 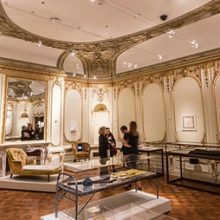 For the friend who carefully curates her Instagram account: Last year, the Cooper Hewitt, Smithsonian Design Museum (the former Carnegie Mansion) got a giant re-do. 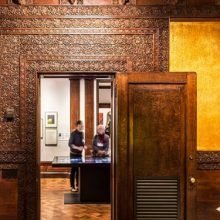 EverGreene conservators restored original wood finishes, intricately gilded wall coverings and ornamental plaster throughout the turn-of-the-century building. Come to admire the Georgian-style architecture and stay for the contemporarily-minded gift shop! Featuring toys, housewares and accessories, it’s the perfect place to snag a faux-marble-covered planner or minimalist clock for the design-obsessed friend in your life that (almost) has it all. 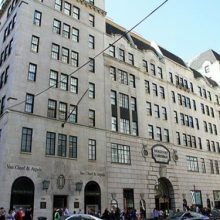 For the ladies (and gents) who lunch: Bergdorf Goodman has been a haute Fifth Avenue staple since 1928 when their flagship went up at 57th Street. It has been featured in numerous movies and television shows as the place to be for anyone who’s anyone. Bergdorf’s Beaux Arts aesthetic pairs perfectly with the luxe designs available for purchase. While you’re there, visit the newly updated jewelry salon; a more intimate setting for Bergdorf’s designer pieces and fine jewelry. EverGreene plaster specialists installed sophisticated moldings along the ceilings of the main space and VIP room, contributing to the salon’s 1930s French Modern aesthetic.